Neiweem Group LLC is a Washington DC-Based government affairs and communications firm that represents a broad array of client companies and organizations before federal and state governments. Our team possesses a wide-array of skills and specialization in the core competency areas of the government relations industry: research, advocacy, federal and state law, communications, legislative acumen, strategic consulting, political campaign management and fundraising. Our firm also offers pro-bono employment services to veterans. 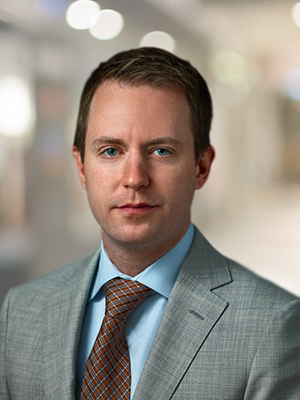 Christopher Neiweem is an American Lobbyist and Iraq War veteran who has significantly shaped the political and policy landscape at the state and national level over the last decade. He founded and operates Neiweem Group LLC, a Washington DC-based government relations and communications firm in order to achieve favorable public policy outcomes for his clients on matters of personal belief and dedication. He is a writer, coalition builder and leader that believes smart citizenry can change society. He has impacted policy across a broad array of American industry to include: aviation safety, healthcare, education policy, defense, federal budget policy, taxes, political campaigns, emerging tech, veterans benefits, foreign policy and economic issues. He has been featured on FOX News Channel, CNN, Fox Business Network, RT America, I-24, NBC Dallas, The Washington Post, U.S. News and World Report, Military Times, NewsDay. The Dallas Morning News, Full Measure with Sharyl Attkisson. The Atlantic, The Center for Investigative Reporting, The Los Angeles Times, Huffington Post, and he is a regular Contributor to the Hill Newspaper. He has testified in front of the U.S. Congress numerous times in both the House and Senate and been at the forefront of multiple national policy campaigns. He holds a Bachelors Degree in Political Science and minor in U.S. History from Northern Illinois University, and a Masters Degree from the University of Illinois at Springfield. Neiweem Group, LLC is a Washington DC based government affairs firm focused on delivering successful results for clients across a broad array of American industries.